After several hours of research, I made my selection of the best laptops for graphic designers, among the models currently available on the market. If you have no wallet problems and are uncompromising on the image quality, I recommend without hesitation the MacBook Pro 2018 with Touch Bar. But if you do not have so many resources, the Dell XPS 15 is probably one of the best quality/price ratios of the moment. However, I invite you to consult my purchase guide at the end of the article to help you make your own selection in relation to your specific needs. First of all, note that, for a better comparison of prices, I have selected, among the various variations proposed for each product, a common variation: I selected, when they existed, the 15 “versions, offering a Core i7, 8 GB of RAM and an SSD. These indeed feature quite popular in the world of graphics. However, depending on your needs (and your wallet), it may be better to opt for a 13 “version, a Core i5, or a version without SSD. I leave you of course fully judge on these points. This is particularly the case of the only computer I have selected for this section dedicated to laptops for cheap graphic designers: if I have here filled in the “full options” version, which is a little more expensive, there are some more “light” versions that allow you to not exceed the 1000 € … While maintaining a formidable computer powerful! Can I use a gaming laptop to perform graphics tasks? Yes, in many cases. The advantage of a PC gamer is that it usually has a GPU and a CPU sufficient to perform the most common graphics tasks, as well as excellent responsiveness. The Legion range represents the gaming branch of the Chinese manufacturer Lenovo, and the Y530, which succeeds the bestseller Y520, is entry-level. Entry level, really? That’s without counting the latest variation offered by Lenovo, and to which I refer you here: with its Core i7 8th generation processor (10% faster than the seventh generation), its 8 GB of RAM, its Nvidia Geforce GTX graphics card 1060 and its HDD 1TB + SSD 256GB hard drive, as much to tell you that it has in the belly! And even if 16 GB of RAM would still have been preferred by those who practice 3D modeling, it will be perfectly capable of performing any graphics task quickly and accurately. Nevertheless, know that there are, for less than 1000 €, versions with an 8th generation Core i5 processor, a GTX 1050 graphics card, and with or without SSD. If you do not need all the features in the model that I propose, it is an excellent compromise to get a powerful computer quality without exploding your budget. A few words of design and ergonomics: the shell is plastic, but good quality (better than the Y520), and nothing cracks in handling, which bodes well for a good resistance over time. Compared to the previous model, the screen has been advanced to slide more connectivity back (which is obviously well thought for gamers) but also, especially, to integrate a better cooler. As much to say to you that this one will be welcome during the execution of graphics programs greedy. The edges of the screen, they have been decreased, which allows a better visual comfort. This is a Full HD screen (which may not satisfy the most demanding of you) with an IPS panel with excellent anti-glare. Connectivity level, you will find 1 HDMI port, 2 USB 2.0 ports, 2 USB 3.0 ports, and a headphone input. These different ports are distributed at the rear, except two USB ports and the headphone jack, located on the sides for ease. Finally, and this is another advantage of this model, it ranks among the most transportable: with its weight of 2.3 kg and its announced autonomy of 9.5 hours, you should be able to easily carry in your business trips. 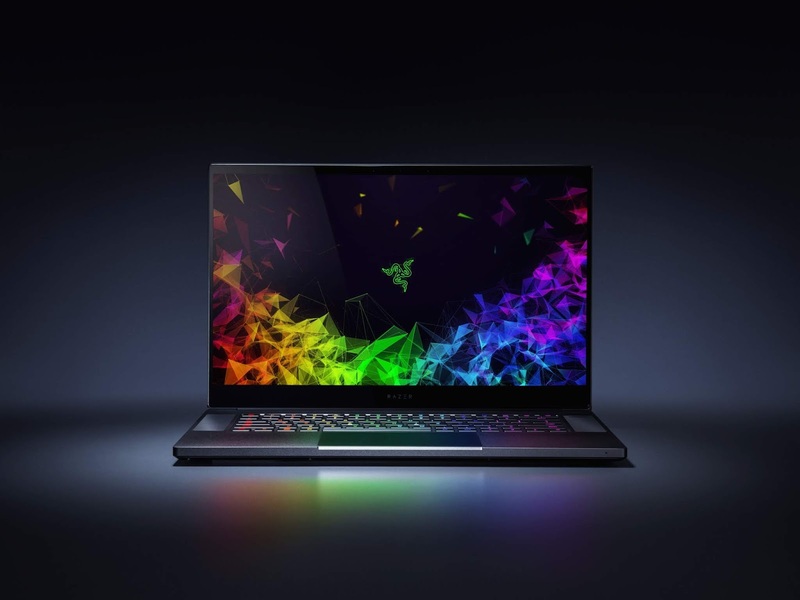 In short, I would say that the Lenovo Legion Y530 is a little monster of power, even if you go to less advanced versions and, above all, less expensive. Whatever the variant is chosen, the 2D edition will pose no problem, as well as much of the 3D modeling or video editing. In this section, I present two computers that were designed, this time, for the purpose of graphical use. Emphasis has been put by the manufacturers on screen quality, color fidelity, and ergonomics. Dell has always been known for its good quality, affordable machines, but it’s recently entered the graphics market with its powerful yet affordable XPS 15. The version I propose here is equipped with a Core i7 processor of the 7th generation, an Nvidia GTX 4gb GDR5 graphics card, a RAM of 8 GB and a 256 GB SSD, so as to bring me closer to the better of the configuration that I propose to you throughout this article. But know that for about 500 € more, you can get the most popular version by graphic designers, which this time includes a processor Intel Core i7 8th generation, a graphics card GTX1050Ti 4 GB, 16 GB of RAM and an SSD 512 Go … You will understand: it is a computer capable of running almost any graphics software without incurring any lag. Design side, with its aluminum frame and carbon fiber, it has a very sober and classy side. Nothing to say about finishes and material quality. The whole weighs about 2kg, which is rather light. The UHD screen has an anti-glare IPS panel and offers a particularly worked brightness, which makes it possible to use it in almost any circumstances and from any angle of view without encountering visual discomfort. The colorimetry it offers is rich and faithful. Connectivity side, it is a little less well provided that the Legion Y530 (but it’s normal since it is dedicated to gaming, generally more greedy in terms of connectivity if you want to have suitable equipment): we find an HDMI, a USB 3.0 port and a VGA port (the “high-end” model has the advantage of having a USB 3.0 and more) It’s a little bit, especially for those who like to connect a graphics tablet, for example: it will be necessary to ignore the mouse unless investing in a hub. In the end, the Dell XPS 15 is a computer that has almost everything big (including MacBook Pro): ease of transport, bluffing display quality, power, … For a lower price! The only complaints we can make him is that it heats up fast (the investment in a laptop cooler is strongly recommended) and quite noisy when using greedy software. Also known by the small name of Asus Zenbook Pro, this model has been much talked about at its release because of a particular innovation: it is the first laptop to offer, as a touchpad, a second screen (named ” ScreenPad “). This PC is equipped with an Intel Core i7 8th generation processor, 16 GB of RAM, an Nvidia GeForce GTX1050 graphics card with 4 GB GDDR5, and a 512 GB SSD … In short, it has under the hood! Other configurations are offered by Asus, but you will have to go through a 14 “screen, or even 13”, and you will not benefit from the screenpad. The general design is the one that Asus has accustomed us to: neat, sober, elegant, with its brushed blue night bonnet (this time with a very elegant rimmed effect) and its robust aluminum chassis with impeccable finishes. It comes with a full HD screen, with a matte IPS panel with anti-reflective technology. Its colorimetry is excellent, but its brightness, quite low compared to the competing average, does not make the weight, at this level, against the Dell XPS 15. And this famous screenpad, what does it bring? 3 modes are currently configurable (but Asus has announced to work currently to offer more features, so maybe this range will expand in the future): classic touchpad mode (in this case the screen turns off), mode screenpad (on which we can find a whole series of shortcuts … welcome since this computer does not have a keypad) and extension display mode (which allows you, basically, to get a second office: it’s quite bluffing but in fact it lacks ergonomics). Connectivity side, it is rather well provided: an HDMI port, two USB-C ports, two USB 3.1 ports, a Micro-SD player and a 3.5 mm jack. The basic battery life is similar to that of the Dell XPS 15: about 5 hours are achievable in “normal” use. But the battery is quickly drained by the screenpad, especially if you use it in extension display mode: you then reduce the autonomy by about half. In the end, the Asus Zenbook Pro is an excellent laptop for the graphic designer, with excellent performance and the addition of a screenpad that is very promising if the manufacturer continues to work on it to provide a range of possible uses which will ultimately make it indispensable. However, it loses the first place in favor of the Dell XPS 15 because of its lower display quality (especially because of its brightness a little disappointing), and its autonomy quickly drained by its screenpad. In this section, no concessions have been made by the manufacturers: quality of materials, quality of screen, ergonomics, autonomy … It is necessary however to hand the wallet. Making a comparison of the best laptops for graphic designers not to mention the MacBook Pro would certainly be considered heresy. And I must admit that, even if I’m not a big fan of the American apple, the MacBook Pro is probably the best in the field of graphic design. First of all, as for the models presented so far, the components it embarks: an Intel Core i7 8th generation processor, a graphics card Radeon Pro 560X with 4 GB of video memory, 16 GB of RAM and a 256 GB SSD All this, combined with a last very light OS version, makes it a powerhouse monster. The Retina TrueTone screen is actually a 2880 x 1800 screen, with a glossy IPS panel that does not cause too much glare. Its brightness is among the highest and the contrasts are very comfortable. And since the colors are among the most faithful and accurate of what is done in the field, we understand better the enthusiasm of designers for this model! The design point of view, we do not change a team that wins: while being lighter still (1.8 kg) and less thick (1.55 cm) than its predecessors, it keeps all the characteristics that made the success of the range, including the famous light gray aluminum cladding. This model is equipped against a new keyboard “Butterfly”, quieter and resistant to dust. This is at least what the brand announces, but in fact, we can wonder if this is not a way to avoid the problems of the keyboard that faced the MacBook Pro 2016 without announcing officially that there really was a problem. The result seems convincing anyway. It is always equipped with the famous Touch Bar, namely a portion of the keyboard that is touch and can create customizable shortcuts. A technique is often very popular with graphic designers. Connector side, by cons, no surprise: 3 USB-C ports and … That’s it! It will be necessary to go through the cash register to buy a battery of adapters. It’s a bit average when you know the basic price of the machine. Finally, a word about a battery. As expected, Apple remains a champion in this area. If the announced autonomy is approximately 9 hours (is about the same as on the Legion Y530), we note a drain of the battery much lower than what is usually done on Windows PCs: you can count on a duration of 7 hours even if you perform very greedy graphics tasks like 3D rendering. In the end, my conclusion will be nothing new: certainly, the MacBook Pro is one of the most expensive graphic designer’s laptops on the market, but it is also probably the best. If the money issue is not a concern for you, then go for it. Proposed in the same price range as its rival Apple, the Microsoft Surface Book 2 is also close to perfection in terms of laptop design. First of all, let’s see the components that I propose: Intel Core i7 8th generation, 16 GB of RAM, Nvidia GeForce GTX 1060 graphics card (6 GB of GDDR5 memory), and a 512 GB SSD. Already on this point, it has nothing to envy the MacBook Pro. Especially since it hardly heats (but is, in return, a little noisier). Level design, there is a sober and elegant magnesium chassis, with a detachable screen. Note in this regard that the processor is in the tablet but the graphics card in the clavier. You will not be able to run all your software on the tablet alone. The whole weighs 1.9 kg, not much more than the MacBook Pro. It is therefore easily transportable, despite the hinge specific to Microsoft Surface Book that leaves a slight gap between the screen and the keyboard once the PC closed, which increases a little its thickness. Even if it’s pretty elegant, it’s a shame for the compactness. It has a touch screen with an IPS panel in definition 3240 x 2160 px, a higher resolution than the MacBook Pro. Excellent contrast, faithful color, brightness superior to that of the Asus Zenbook Pro, this screen has enough to satisfy the most demanding. Connectivity side, there is a USB-C port, two USB 3.1 ports, a 3.5 mm jack and an SD card reader. No HDMI port, so it’s a shame (but since its main competitor does not propose either, this is not an argument against him). Battery, it is simply bluffing for a laptop under Windows: with its two batteries (one in the tablet and the other in the keyboard), it can reach 15 hours in “normal” use. I may be excited that not only is this one of the best graphics laptops, but also one of the best Windows laptops at all! I will, therefore, highlight its main defect: its audio quality that can be described as mediocre given the price range. But hey, in general, this is not the primary goal of buying a laptop for a graphic designer. How to choose a laptop for a graphic designer? The software used by graphic designers is often greedy. Unless you only work with one program and still the same – in which case you only need to check the minimum system requirements to run this program – you should ideally turn to a configuration that allows you to run most common software programs. used in a design. For simplicity, the processor – or CPU – is the heart of the computer, responsible for processing and executing instructions. Depending on your needs, it can be one of the most important components of your computer. So, for someone using Photoshop, only a 2 GHz processor is required, and old computer models will often suffice. But if you work with 3D software, a Core i7 HQ processor or higher is highly recommended. Similarly, it is necessary, in this case, to prefer a quad-core processor (or more) to a dual-core processor, quickly limited to manage 3D applications. Now, we must also remember that the more powerful a processor is, the more greedy it is. It’s up to you, then, to choose a good compromise between the power and the autonomy you need. The graphics card – or GPU – will also be requested differently depending on your usage. The market in this area is dominated by Nvidia, but AMD is also a good choice. In case of basic graphics needs, an Nvidia GTX 960 card is still a minimum necessary to obtain a satisfactory result. But if you touch 3D, do not look below an Nvidia GTX 1050. To stay in the analogy of the processor as the brain of the computer, the RAM is comparable to the short-term memory: it is the storage space in which the files are loaded at the moment when you work on it. The more this RAM is important, the better it will process the information. Currently, it is very unusual to meet a computer with less than 4 GB of RAM. Nevertheless, for graphics work, a minimum of 8 GB is necessary, and even 16 GB for modeling and 3D rendering work. SSDs are faster than HDDs and are slowly becoming the standard for most laptops and laptops. HDDs are much slower, but for now, they are more durable. A good compromise, in terms of laptop graphics dedicated, is to opt for a model with an HDD and SSD. In any case, an SSD is highly recommended for all 3D work. Of course, the screen is an important criterion for a notebook PC dedicated to graphics. Two aspects mainly need to be examined: size and resolution. The ideal size, of course, depends on your needs. If you work with a secondary display, a 13 “display can be ample. On the other hand, if you have to show the results of your work to customers on your PC itself, a 15 “screen and even 17” can be useful (but it is the portability that then takes a hit). At the same screen size, the one with the highest resolution (which will have the most pixels, therefore) will have the best display quality, because the image will be much sharper. The touch seems to gradually gain its credibility with graphic designers because it allows you to work on a single medium, rather than working on a dedicated graphics tablet connected itself to a computer. Nevertheless, this feature is far from winning all votes, on the one hand in that this touch is often less accurate than on a graphics tablet, and in that it drains the duration of the battery. This is a point on which manufacturers tend to work more and more, and it is now possible to find high-performance laptops around a dozen hours of autonomy. Of course, manufacturers always announce a certain duration of use, but it is a “classic” use: office automation, a little streaming, a little game … If you use greedy graphics software, It’s a safe bet that your autonomy will never reach the one announced.